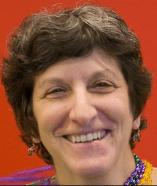 Grammarist is pleased to introduce Merrill Perlman, former copy editor and director of copy desk for The New York Times, professor, consultant and writer of the “Language Corner,” a column in the Columbia Journalism Review. 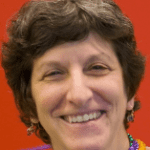 I’m Merrill Perlman and have more than 35 years of experience in journalism, mostly as an editor but some years as a reporter, manager, recruiter or trainer. I spent 25 of those years at the New York Times, starting as a business copy editor and leaving in 2008 as the director of copy desks, in charge of all the Times’s copy editors, an average of 150 or so. Since then, I’ve done consulting; training in journalism, editing and writing; I’m an adjunct assistant professor at the Columbia University Graduate School of Journalism; and I freelance as an editor for many types of writing, including fiction, journalism, nonprofit and marketing. I write the “Language Corner” column for the Columbia Journalism Review (cjr.org), which is blogging in a different sense, if blogging it is at all. It’s more like a column than a blog, in that it has regular postings and a host MSM site. When I left the Times, I offered to take over the column, which had died with its originator (another Times editor whom I greatly admired), and CJR took me in. It was my first experience with having my own content posted online, as opposed to editing someone else’s. How long have you been blogging? How many followers do you have? Why blogging instead of a more traditional approach? Why do you do it? I started writing LC in the summer of 2008, and post weekly (as well as four columns a year for the print magazine, which are also posted). I honestly have no idea how many people follow the column; I know people read it, because I get a fair bit of email, retweets and such. It’s on CJR because it was a CJR product, so it is in many ways a more traditional approach than the, um, traditional blog. I offered to do it because I love language and want to help people understand it better, especially those who use words for a living. What is it about “Language Corner” that has made it such a successful blog? People are passionate about grammar and language. Just look at the emotional argument over whether there should be a comma before “and” in a simple series like “red, white(,) and blue” (a matter of style, in my view, not grammar), or whether it’s OK to start a sentence with “And,” “But” or other conjunctions (perfectly fine, in my view, since that’s how we talk). But I also use it to discuss how we use words, how language is evolving, and how it got that way. I think people like to learn why they use words as they do. How has blogging changed language? How we get news? How we use language? That’s a very complicated question, but in a nutshell, I think blogging has made communications more casual and less structured, so language changes faster. The Internet makes more types of writing and language accessible to more people, which feeds the speed of change and also allows people to pick and choose among the new words or usages they see. Blogging has made news more accessible as well, but also more polemic, and has allowed some people to present “news” that is simply their opinion, or information they are recycling. That makes it less reliable as what journalists think of as ”news,” which is accurate, straightforward information that people need to live their lives. What is so interesting about language/grammar to you? I’m fascinated by how people use words. Language is the best way we have to communicate, and also the most complex. If I call something “a sack” and you call the same thing “a merchandise carrier,” you won’t understand me when I say “Bring me the sack.” The communicator really has to “hear” what the intended audience does, to be sure that the message sent is the one being received. In addition, language changes, and people learn different “rules.” Yet we can still understand one another, most of the time. It’s one reason I’m adamant that it’s more important to know why a “rule” exists than to follow it blindly. Why should anyone be more interested in linguistics/grammar? Writers need to make words do their bidding, to dance and sing. Knowing how words are used and put together into sentences, how that varies regionally, and how it has changed and is changing can help writers make their words dance to the tune they want their readers to hear. I, like, really, um, wish, you know, that people thought more before they began to speak? And stop “uptalking”? Those are just annoyances. As for writers, I would like them to think as much about the message their readers are getting as they do about what they want to say. They’re not always the same thing. What are the three most critical errors made most often? I couldn’t say, and, in my experience, the errors keep changing anyway. The critical errors are the ones that change the meaning – a writer who uses the word “nonplused,” for example, thinking it means “not bothered,” and thus confuses or misleads a reader who thinks it means “puzzled.” Some dictionaries accept both meanings, which muddies the water even more. That’s what I mean by assuring the message sent is the one received. Because people are human and make mistakes, and because one person’s rules are not everyone’s, go easy on the snarky comments when (you think) someone slips up. Maybe they didn’t. That includes comments on this, BTW.